“My work is an image of me questioning existence that envelopes myself and others. Although I may not be consciously asking a question, answers are always being sought and found through intuition and play in the Art-making process – which is a natural, meditative state of allowing the Art to come through me. Processing life is the path of inquiry, exploration and editing which occurs in producing a work of Art. 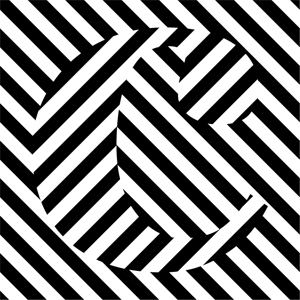 cunicode is a design studio and brand of co-designed products, digitally fabricated. 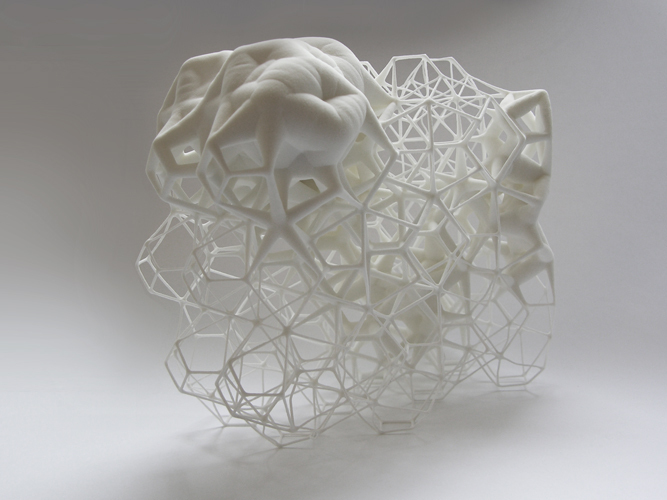 Founded in early 2011 to explore the business opportunities of Additive Manufacturing through design. Sabina Saga is an artist and designer from New York City. Graduated Fashion Institute of Technology (New York, New York) with BA fashion design concentration; also studied in Milan, Italy through FIT at Politecnico di Milano. Sabina Saga is specializing in 3D printing, textile, and material with various surfaces. Sabina’s work has been exhibited at venues including New York, Germany and China. The aim in the work is to bring a fresh look at how materials and technologies can intertwine and modify fashion at the most profound levels. With the goal of exploring the potential of 3D printing to change the design industry and make 3D printed accessories, jewelry and textile approachable reality. Janne Kyttanen (born March 13, 1974, Finland) is a digital sculptor creating multidisciplinary work at the intersection of 3D printing, virtual & augmented reality. Kyttanen’s work has been featured in TIME Magazine’s ‘Design 100’, the people and ideas behind the world’s most influential design. He is best known for his revolutionary work with 3D printing and is considered to be one of the most influential artist designers of his generation. DESIGNER | CURATOR | LECTURER What does fashion lack? "Microcontrollers" according to Dutch based fashiontech designer and innovator Anouk Wipprecht. As she is working in the emerging field of "fashion-tech"; a rare combination of fashion design combined with engineering, science and interaction/user experience design, she created an impressive body of tech-enhanced designs bringing together fashion and technology in an unusual way. She creates technological couture; with systems around the body that tend towards artificial intelligence; projected as 'host' systems on the human body, her designs move, breath, and react to the environment around them. Part futuristic, part anime-meets-high fashion, her aesthetics are set apart from more utilitarian wearables (which are all about function) and can be considered artistic creations in themselves. Many of her designs have been exhibited in exhibitions as well as demonstrated during events and showcases. In Anouk's designs the technology creates the aesthetics as opposed to simply enhancing a function which is hidden. Keen on showing the nuts and bolts of the garments (often the valves and mechanisms are displayed on the outside, we witness the designs creating their own unique forms of interaction, movement and meaning. Wipprecht is artist, designer, curator and lecturer (Netherlands, Los Angeles, San Francisco, China, Austria) in electronic couture, worked for names as the Black Eyed Peas, SuperBowl, Eurovision, with work and interviews featured in international magazines. She is the brainchild/curator of the TECHNOSENSUAL 'Where Fashion meets Technology' exhibition, with attached Artist in Residency program to stimulate the grow of fashiontech projects coupling fashion designers and engineers together, that took place in Vienna/ Austria over the summer of 2012 and attracted 32.000 visitors in a two and a half month time span. She recently released the TECHNOSENSUAL exhibition catalog in collaboration with partner monochrom (AT) which gives a glimpse in the background concept and structure of the exhibition as well as representing featured artists participating in the exhibition. Argentinian born designer licing in Madrid, became known for freely distributing low polygon Pokemon inspired 3D models under CC license, as these were modified and occasionally sold by other users, stirring copyright controversy. 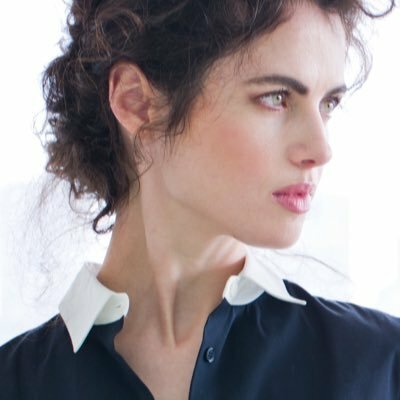 Architect and designer Neri Oxman is the Sony Corporation Career Development Professor and Associate Professor of Media Arts and Sciences at the MIT Media Lab, where she founded and directs the Mediated Matter design research group. I have always been fascinated by the way art has developed due to the use of new materials and techniques. Somewhat disappointed in contemporary sculpture and it's lack of renewal, I turned towards architecture, applied sciences and new media, in order to elaborate a new language generated by computer software, and to compose forms and designs that were unthinkable in all those years before. The studio takes a vanguard position in the field of digital technology ( such as 3D technology, and computational design methods). 3D printing offers me the incredible advantage to produce almost any type of intricate geometry or ornament. Moreover, my images balance on the edge of functionality, spatial interventions, digital aesthetics and object-oriented eclecticism. Using copy paste techniques in a 3D software environment, I derive images, shapes and textures from different sources: basilicas, corals, dinosaurs, cottages, Rorschach inkblots, Chinese rocks and trees, manga, twelfth-century floral wallpaper, anatomical parts,… Simultaneously, my work holds numerous references to the tradition of sculpture, (such as the work of Hans Arp, Henry Moore or Barbara Hepworth) and to architecture (think of Greg Lynn, who introduced the blob as an architectural constructive principle). 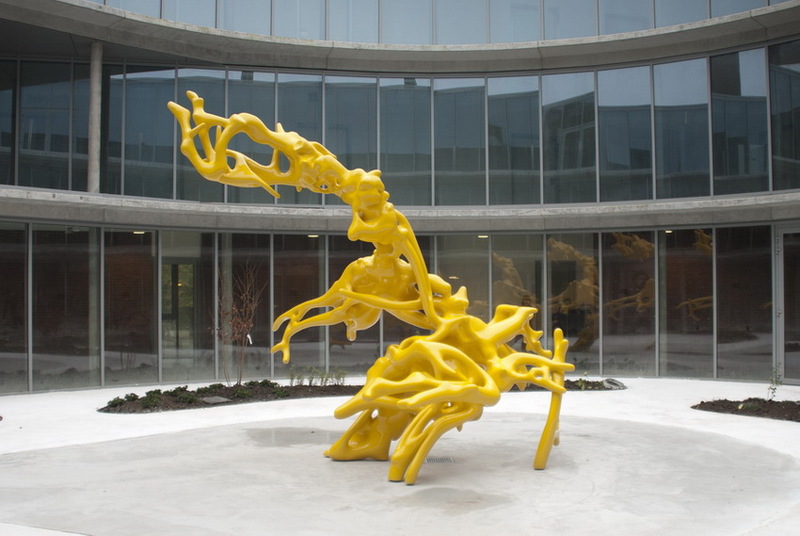 I am particularly interested in the ways computers can be used in the realisation of new, organic and experimental (negative) spaces and sculptures within sculptures and how the tension between blobs and boxes is articulated during the digital designing process. Pussykrew is an interdisciplinary duo of Tikul and mi$ gogo. Their creative practices range from multimedia installations, 3D imagery, videoclips and audio-visual performance, to DIY electronics and sculpture design. Pussykrew is originally from Poland, developed globally via Ireland, UK, Berlin and Brussels, currently based in Shanghai and around the internet. Pussykrew explores post-human concepts, corporeal aesthetics, urban landscapes and fluid identities with their synthetic-organic notions, constantly searching for liminal states within the digital realm. Pussykrew is creating gender-bending visual journeys, filtered through carnal data mesh, liquid dysphoria and 3D fantasy shuffle. Pussykrew pieces are known for their multi-sensory purposes and physical affection. Pussykrew works are being presented in various contexts, such as digital arts and film festivals, independent art spaces as well as corporeal events, tech fairs and galleries. Pussykrew loves dynamic environments, interactive spaces, discoveries and future scenarios. Daniel Widrig founded his studio in London in 2009. After graduating from the Architectural Association Daniel worked for several years with Zaha Hadid where he was significantly involved in designing some of Hadid's most iconic buildings and products. Daniel Widrig's studio now works in a broad range of fields including sculpture, fashion, furniture design and architecture. Embracing digital systems since its early days, the studio holds a unique position in the field and is widely considered to be in the vanguard of digital art and design. Daniel has received international critical acclaim and has been published and exhibited internationally. He received a number of prestigious awards including the Swiss Arts Award, Feidad Merit Award and the Rome Prize. In 2009 Daniel was named Maya Master, a title awarded by the digital design community and software industry recognizing people reshaping and redefining the boundaries of technology and art. Prior to founding his studio Daniel was Artist in Residence at the German Academy Villa Massimo in Rome. In 2011 his 3D printed dresses, developed in collaboration with Dutch fashion designer Iris van Herpen were named one of 50 Best Innovations of the year by Time Magazine. Amongst others his work has been shown at Art Basel, Paris Fashion Week, Gropius Bau Berlin and the Victoria and Albert Museum in London. Alongside his practice Daniel is currently directing a research cluster at the UCL / The Bartlett's Graduate Architectural Design Program. The industrial machine is a black box between designers and users. It is an imaginary border dividing craft and design. The works of Olivier van Herpt, however, pry apart the machine, expanding this unit for standardised production into a platform for creative exploration. Tinkering with digital fabrication technologies, the industrial design graduate of the Design Academy Eindhoven constructs methods and means of production that meld together seemingly divergent worlds. A 3D printer that drips, instead of expels, its output, just as how stalagmites naturally form in caves. An open source extruder that anyone can freely use to 3D print objects with the more sustainable material of beeswax. These output by the Dutch designer sit at the intersection of the digital and analogue, as well as design and tools. By pushing the limits of existing 3D printing technologies, van Herpt has arrived at machines that produce larger forms and work with materials beyond conventional plastics. Out of paraffin and even clay, he has printed collections of objects that soften the precise and indifferent definition of industrial design. Vases seemingly handwoven by the hands of individual artisans, ceramics crafted with random imperfections, and pottery shaped by the environment they were made in—these manufactured objects demonstrate how van Herpt reinserts humanity into the man-made machine. Just as the advent of digital fabrication has democratised manufacturing for the masses, the works of van Herpt seek to reconnect design with the human touch. Drilling deep into the design process, he flattens the production chain standing between designer and user with his innovative machines that are really tools which empower making. By opening up the industrial machine, the designs of van Herpt invites all of us to collaborate in creating a world no one of us imagined possible. Bridgette Mongeon breathes life into clay and bronze. She believes a portrait is more than a likeness; it is capturing the spirit and essence of each person. We invite you to view the endearing art of Bridgette Mongeon. Her passion for life and her spirit enliven each sculpture — from her commissions of children and portraits of pets to her sculptures of entertainers. The artist welcomes all inquiries about her artwork from collectors, fellow artists and students to those inquiring about commissions and lectures. We welcome you to subscribe to Ms. Mongeon's newsletter. You may have a private viewing of new artwork and hear about her Creative Endeavors. I have always been interested in the influence of technology on fashion design. For all my projects I develop my own textiles and experiment with various technologies, whether it is laser cutting, screen-printing, or 3D printing. I believe that technology will help democratize fashion and give designers more independence in the creation process. I graduated from Shenkar in 2015 and I now advise designers and fashion houses on new technologies. Francis Bitonti Studio is a design studio focused on emerging models of mass production and processes for material formation. We focus on information driven production and manufacturing models. We are designers, developers and materials scientists. We are focused on the future of manufacturing. We assume materials can be generated and modified as digital media. We don't design static things, we design systems and algorithms that shape materials. We design objects, spaces and warbles through information systems. This is NOT design for the "next industrial revolution."